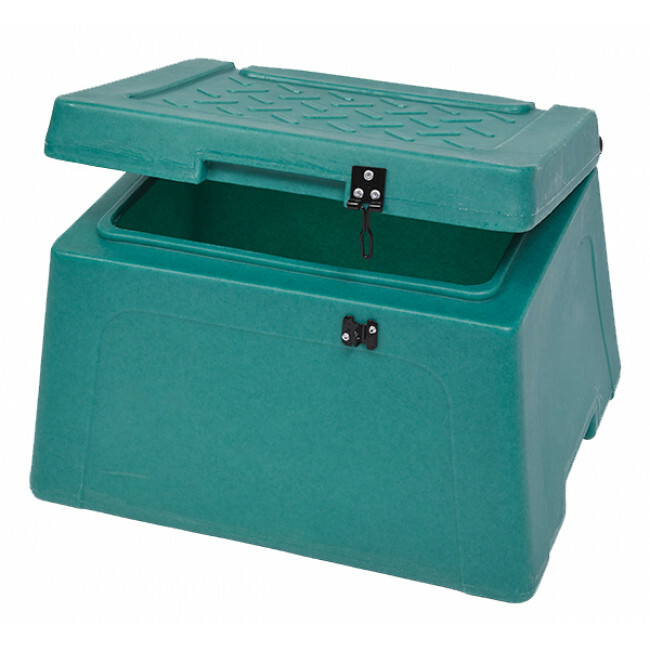 Our 30 Litre Mini Grit Bin was the first of its type to come onto the market. Its compact design makes it ideal for commercial, and particularly domestic use where paths and driveways need clearing. 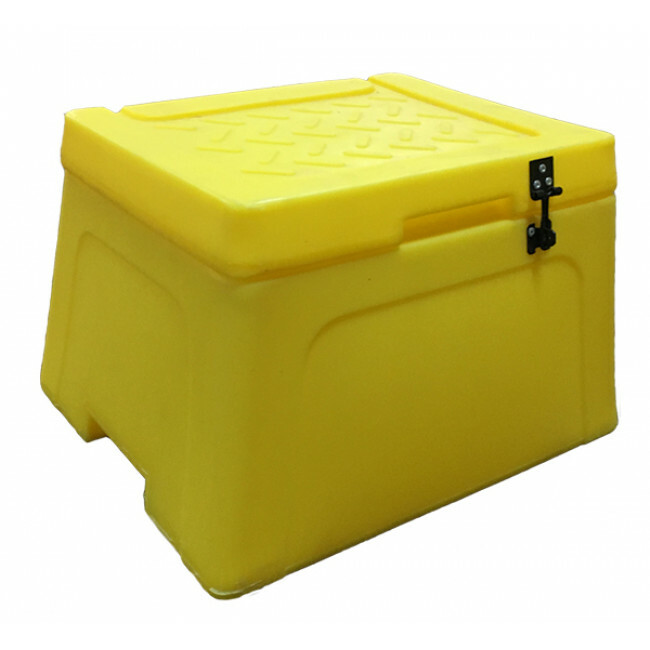 Tough and durable, it is manufactured in the UK using Medium Density Polyethylene (MDP), and can be left outdoors year-round without fear of deterioration. The design includes a tread plate moulded into the lid for multiuse as an outdoor step. A weight of 5kg (when empty) makes the bin easy to transport. 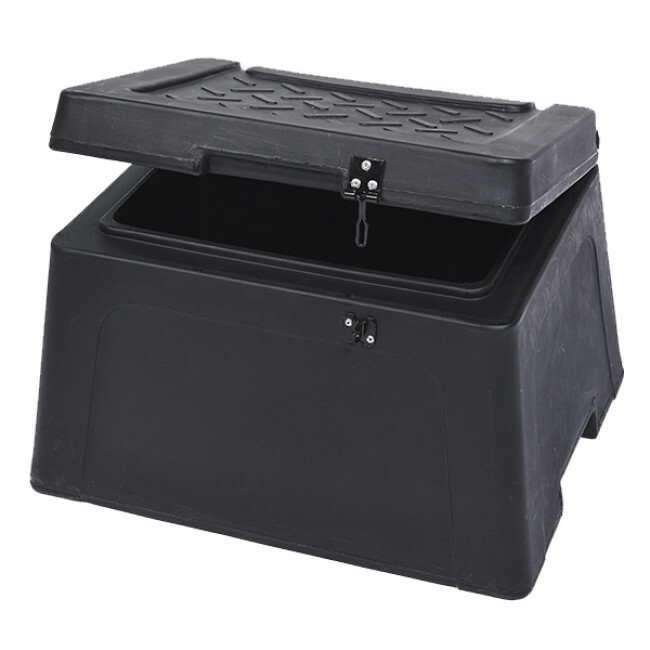 Available with an optional hasp and staple (padlock not included) this grit bin is ensured to be secure, making it suitable for use on small business properties. Its hinged lid ensures contents remain safe from exterior elements. Available in a variety of different colours, the black design is manufactured from recycled materials, making it environmentally sound and reduces the amount of plastic going to landfills. 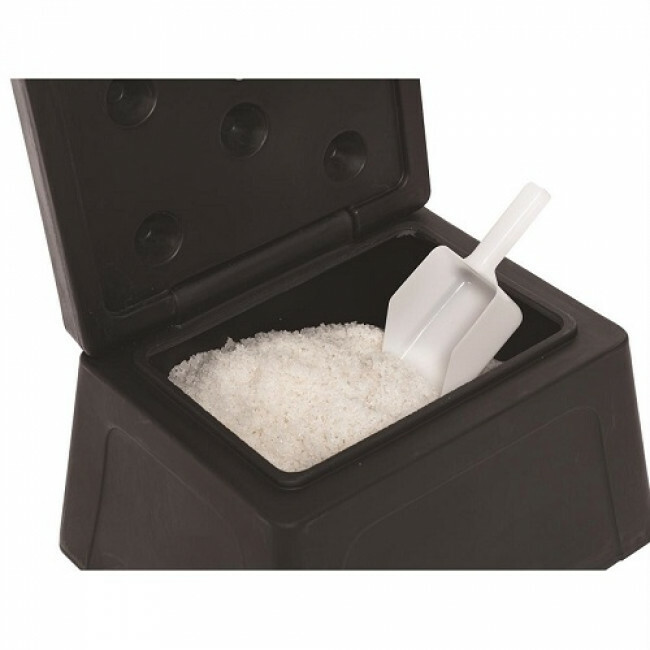 This bin is also available with an optional scoop to assist with spreading the rock salt.